It’s a fact of life, like death and taxes, that theatre ticket prices are rising inexorably. And now they’ve breached the $1,000 mark on Broadway – no, not through touts or the resale market, but from the official box office. 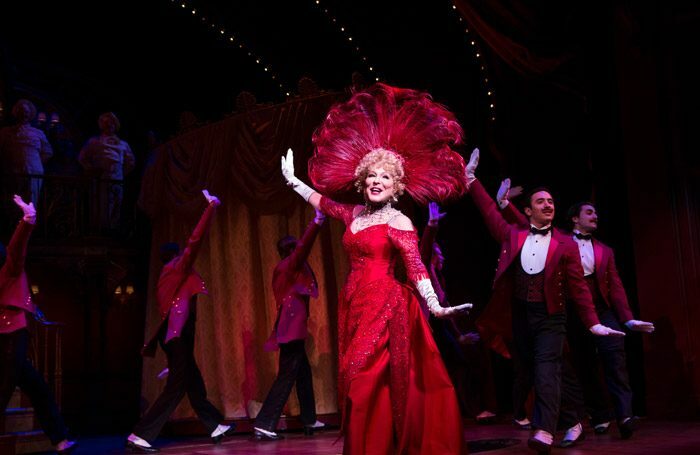 Tickets for front-row seats at many performances between late November and mid-January for Hello, Dolly! – when Bette Midler leaves the show – have gone on sale online with prices that have been spiked to $998. Once compulsory booking fees are added, the total for that comes to $1,009. Of course, the argument goes, if that is what the market will bear, the producers have a fiduciary duty to their investors to make as much as they possibly can. And if they sold them at a lower-than-market-value price, they’d simply be bought by touts and resold at inflated prices anyway, with none of the additional profits going to the investors or creative team who participate in the royalty pool. But it’s curious to see this happening to front-row tickets, which are invariably not the best vantage point to see a show from anyway, and which many theatres choose to offload as their ‘lottery’ ticket offering, to ensure a ready group of fans that welcome the actors and get a bargain price to do so. It could be that the same logic will apply to those who’ve paid $998 – at those prices, they, too, really want to be there – but the well-heeled may be sitting on their hands, having not sat on their wallets. More importantly, I always worry about the message this sends out about Broadway: that it is increasingly unaffordable to anyone but the very rich. The age of dynamic pricing is, of course, here to stay (computerised inventories and online sales, where prices can be changed in a second, have enabled this). But there’s been a philosophical shift, too: as Merritt F Baer, a co-founder and president of TodayTix – which sells full price and and discounted tickets via mobile app – told the New York Times: “Premiums have really changed the game in the last year and a half, because of Hamilton. But the most iniquitous thing about it is that theatres now duly hold on to their best allocations for sale as premium tickets – so the most loyal customers, those who book early, are in fact shunted to the back and side seating, while the best seats are held back for those who decide to come late to the party and don’t care how much they pay for the privilege. This means loyalty is no longer being rewarded but punished. So Broadway is not merely overpriced, it is institutionalising inequality. Howard Sherman: Airport-style security has landed on Broadway but will audiences fly away?